Deb &amp; Co. - Belly Bear Brownette Personalized Ornament - SALE! 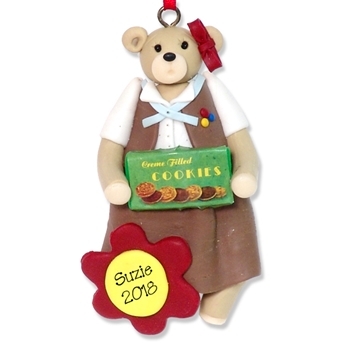 WHOLESALE → Wholesale Products → Belly Bear Brownette Personalized Ornament - SALE! Belly Bear Brownette Personalized Ornament - SALE! This ornament is on sale because we had some help and she does not look as good as we would have liked. She may be personalized with a name and year on the flower. Handmade from polymer clay, she comes complete with a hook and satin ribbon for hanging.